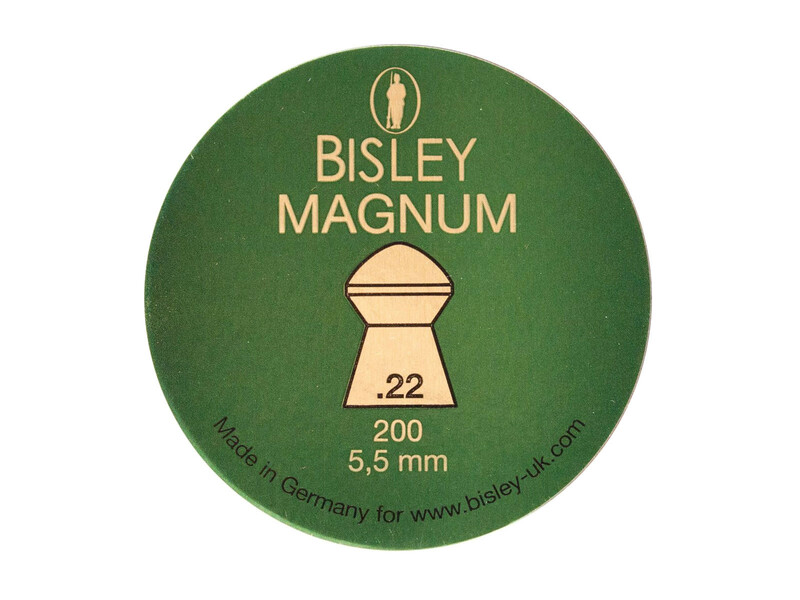 Bisley Magnum pellets have been designed for use in high power pre-charged and FAC air rifles. These pellets are great for long distance targets. The design creates an aerodynamic pellet which has great penetration. The tight skirt allows extra pressure to build up behind the pellet giving it more power. Due to a special alloy being added and extra greasing, these pellets are low lead fouling.